Hyundai Australia has launched “Fall”, a commercial at the heart of their Hyundai i30 Reinvented campaign. 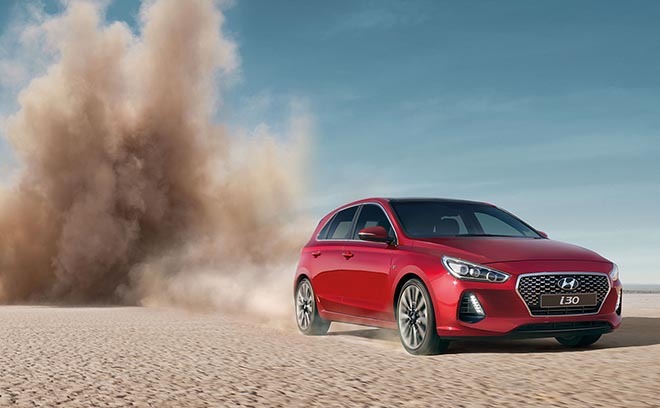 The Hyundai i30 Reinvented campaign asks the question, “Where do you go once you’ve reached the top?” The action-packed film follows the previous Hyundai model plunging to earth from the edge of space, hitting the earth with an impressive explosion. The new model emerges in a cloud of dust. “What do you do after you’ve won Australia’s Best Cars Award six times? You start again.” Drawing on real footage captured on location by a skydiving team, the dramatic imagery required extensive previsualisation from boutique design and VFX house, Fin. The Innocean i30 Reinvented campaign is running on online, TV, cinema, digital, print, and outdoor media channels. The Hyundai i30 Reinvented campaign was developed at INNOCEAN Worldwide Australia by executive creative director Steve Jackson, creative team Daryl Corps and Dave Shirlaw, creatives Steve Carlin, Dean Hamilton, Dave King, agency producer Jacqui Walker, production director Warrick Nicholson, head of planning Scott Davis, group business director Philip Sherar, head of digital Trevor Crossman, account director Vincent Pled and account manager Kat Knight working with Hyundai Australia Motor Car Company director of marketing Oliver Mann, general manager marketing Andrew Knox, product marketing manager Nick Cook, and product marketing co-ordinator Katrina Mendoza. Filming was shot by director Daniel Askill via Collider with 2nd unit director Lorin Skill, executive producer Rachael Ford-Davies and producer Julianne Shelton. Visual effects were produced at Fin Design + Effects by executive producer Alastair Stephen, VFX supervisors Justin Bromley and Stuart White. Photography was produced at Photoplay by photographer Michael Corridore, executive producer Alison Lydiard, producer Melanie Reardon, with retouching at Cream Studios by executive producer Steve York.